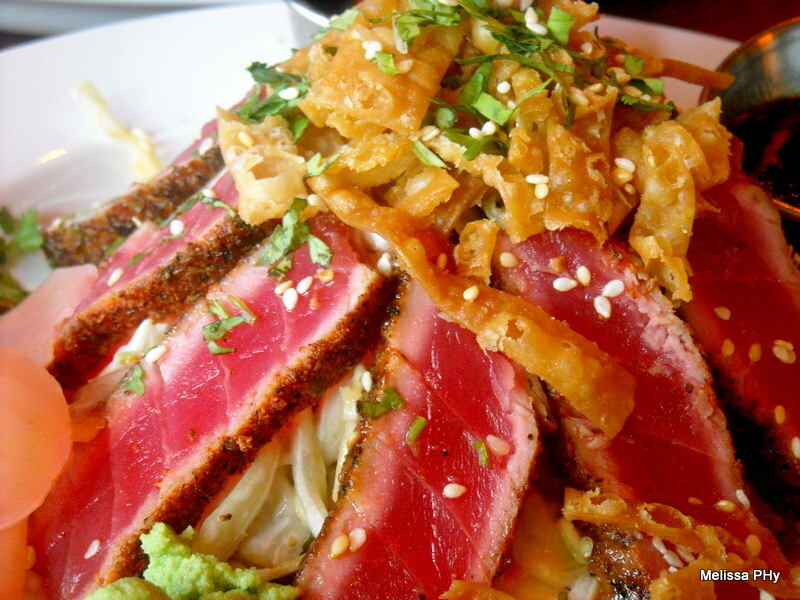 I’ve got a new love and it goes by the name Seared Ahi Tuna. Capitalized because it’s a proper name. And important. And anything that means something to me gets capitalized or named. That’s right. That soft spot in my heart where spinach once lay is now totally and completely consumed by Seared Ahi Tuna. I don’t know when or how I fell in love with this delectable dish, but the fact is, I did. It happened. I’m obsessed. 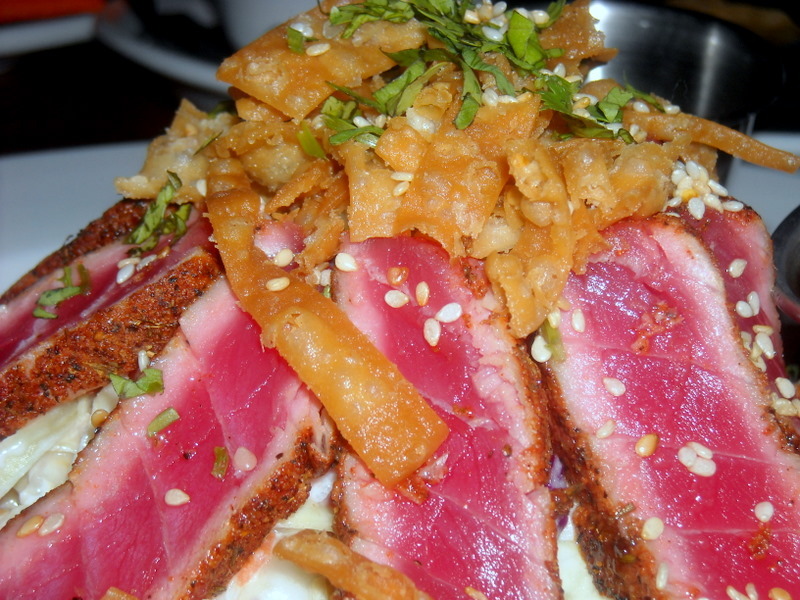 I’ve tried variations of Seared Ahi Tuna, from Karl Strauss’ (oh, heey Georgia! ), Fleming’s, and that little beauty up there, from Coronado Brewing Company. I even forced (that’s legal, right?) my boyfriend to eat a piece. He won’t publicly admit it, but he loved it. Anyone else love rare fish as much as I? I’m too scared to try to cook it. Someone force me to sear that tuna! P.S. Spinach, if you’re reading this, please know I am only kidding. There’s always room for you in my ticker. This is hysterical!!! And now I’m certain I’m in good company when it comes to naming inanimate objects!!!! (thought I was crazy!). The pics make me want to dive in! You’re such a good cook!!! I’ve never tried it before! But now that it has your stamp of approval…I’ll have to give it a go. But for now, I am forcing you to make it so you can post a recipe on here! It’s so delicious. There’s no reason not to love it. And I only put up that last sentence because I didn’t think anyone would force me–pressure is on. I’m up for the challenge, though. Let’s have a double date with the boys (somewhere where they have this) yes?